Your system has just crashed and you need Data recovery service, so you can recover your pictures, word documents, excel files or the emails as soon as possible? Or you have just got a new laptop and you want to transfer same files from your old one to the new computer/laptop etc? We can fix any computer issues! You came to the right place. 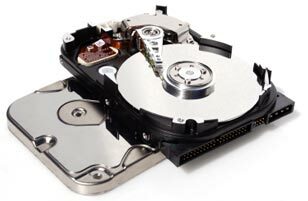 We charge flat rates that depend of the size of the hard drive that you have. Don't know what happened but you can not access your hard drive any more? Computer Service & Repair in Fort Lauderdale, Weston, Coral Springs, Deerfield Beach, Wilton Manors, Laptop Repair Ft Lauderdale, Boca Raton, Aventura, Coral Springs, Hard Drive Recovery ALL LEVELS, JUST CALL US: 954-934-5342. Data Recovery Weston, Data Recovery Pompano Beach, Data Recovery Las Olas, Data Recovery A1A, US1, Data Recovery in Deerfield Beach, Delray Beach, Boynton Beach, Coral Springs, Laptop Data Recovery & Repairs in Weston. Dell Repair Hollywood Beach, Dell Repair Fort Lauderdale, Dell Repair Boca Raton, IBM Laptop Repair anywhere in Boca, Ft Lauderdale. Sony, Acer Computer Repair, Toshiba, IBM, Lenovo, Asus Computer Repair in Hollywood, Hallandale Beach, Computer Repair Hallandale, Pembroke Pines. 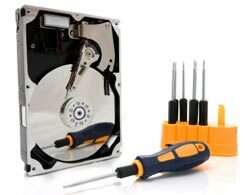 Data Recovery Downtonwn Fort Lauderdale. We do data recovery on Sony, Acer, Toshiba, IBM, Lenovo, Asus, Dell, HP, Compaq. Computer Repair Delray Beach, Hollywood, Computer Service Hallandale, Pembroke Pines, Laptop Repairs in Boca Raton & Fort Lauderdale.